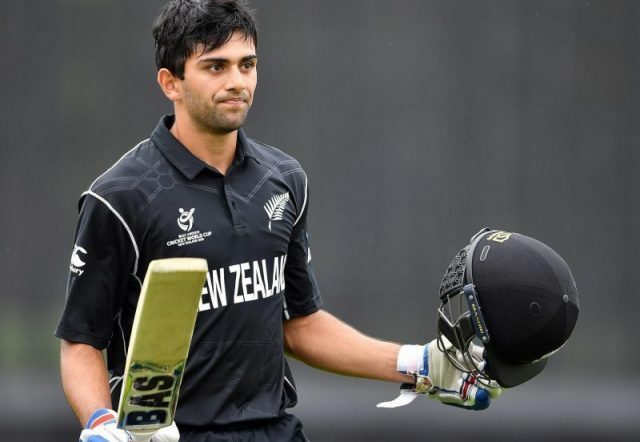 Jakob Bhula notched up the highest individual score in the history of the ICC U19 Cricket World Cup as New Zealand recorded a 243 run win over Kenya in their second pool game at Hagley Oval in Christchurch. The 18-year-old finished on 180 with 10 fours and five sixes, while fellow opener Rachin Ravindra also posted a century and Finn Allen cameoed with a quick-fire 90 as New Zealand ended on 436-4 from their 50 overs. Batting first, New Zealand were set at 99-0 after 20 overs, when Bhula and Ravindra began to up the ante. Ravindra took the role on as the aggressor, while Bhula put the bad ball away as they hit 85 runs off the next 10 overs to be 184-0 at the 30 over mark. Bhula enjoyed plenty of strike and was first to reach triple figures in the 32nd over, with Ravindra joining him in the 35th as the pair became the eighth and ninth New Zealanders respectively to score a century at a ICC U19 World Cup. The pair broke the record for the highest first wicket partnership of 245 along the way, before Ravindra was out stumped for 117 off 101 deliveries. 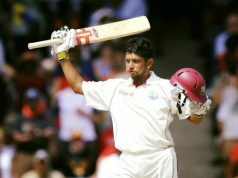 That brought Allen to the crease, brimming with confidence after his century against the West Indies. 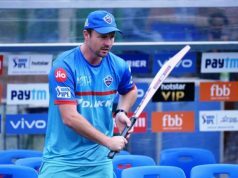 Allen and Bhula increased the run rate further, putting together 156 runs off just 67 balls, with Allen plundering 14 boundaries as New Zealand eyed a total well over 400. Bhula continued his brilliant knock, overtaking a 16-year-old record for the highest individual score, before he was run out for 180. That dismissal began a small collapse of three wickets in as many balls, before some late hitting from Dale Phillips helped the hosts through to 436-4, the second highest total in the tournament’s history. New Zealand’s only real threat standing in their way of a win was the weather. Rain delayed the start of Kenya’s chase before spinners Ben Lockrose and Ravindra hurried few their first few overs in case of further showers. 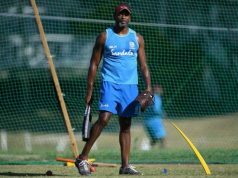 Fortunately, the clouds cleared, as New Zealand restricted Kenya to 193-4, with Ravindra once again leading the way with best figures of 2-33 from 10 overs. New Zealand now head to Tauranga ahead of their final pool game against South Africa on Saturday, looking to remain unbeaten ahead of the knockout stages.